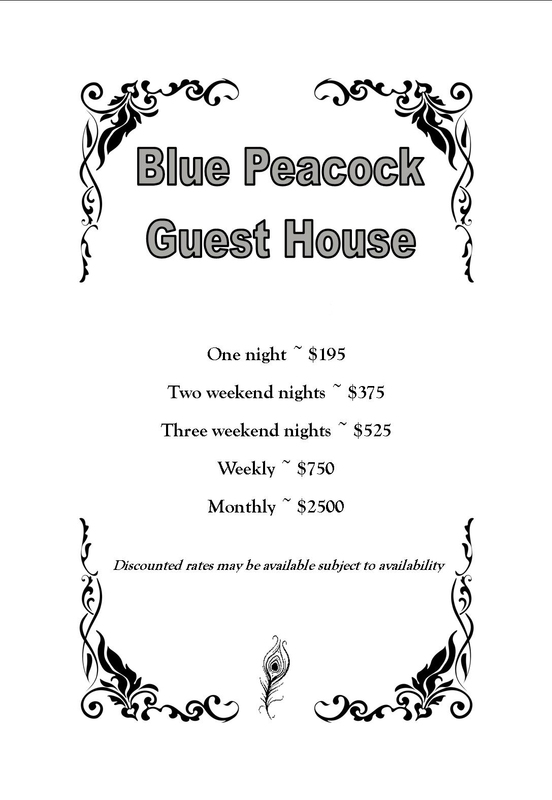 Welcome to the Blue Peacock, our charming turn of the century guest house! This four bedroom, 2 bath home offers﻿ plenty of spacious bedrooms, quaint bathrooms, and family sized kitchen and living room. Perfect to share with family or friends on a visit to historic Monongahela. It is located right behind Bethel AME Church, a historic landmark that was instrumental to the safe passage of slaves on the Underground Railroad to Canada and freedom. The guest house is centrally situated half way between Chess Park and Monongahela's Central Business District, boasting at least six resale and antique shops, old fashioned hardware store, restaurants, riverfront aquatorium, pharmacy and spa. In the other direction, you'll find grocery stores and more antique shops. Monongahela has been called a community of churches, and most are within walking distance. The home is fully equipped for short or long term stays. Three bedrooms offer quality queen beds, and the last bedroom has two twin beds. There is a TV in each bedroom. All bed linens, comforters and towels are provided as well as soaps, shampoos, and hair dryers. Comfortable upholstered pieces warm the living area. The large kitchen has all the necessities of your home including coffee maker, toaster, pots and pans, dishes, glasses, and utensils. A new furnace and air conditioning provide comfortable temperatures. The stove, refrigerator, and microwave are all new, and Wifi and cable TV are throughout the house. Catering is available as well as cleaning service (upon request) for long term stays. 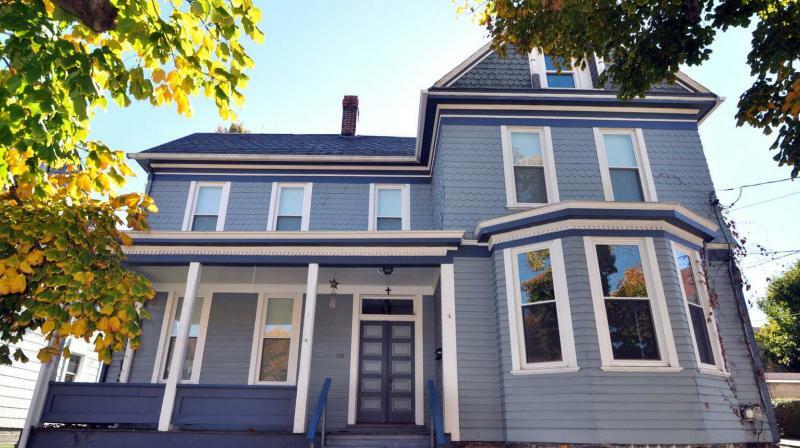 The large front porch will draw you out on balmy evenings for friendly chats amongst yourselves or with some of the many walkers in our town. On street parking is available for this corner lot. This home is complete with all modern amenities and is awaiting your arrival! Reservations and deposit are required in advance. Available for daily, weekend, weekly, or monthly rental. View our current guest rates.